Since one of my goals for this year is to make 2017 the year of healthy (read about it here), I'm back today with the first suggestion for a healthy snack. While it's true that we all love (and need) snacks, the word "snack" is more often than not associated with guilty pleasures and with things that make us fat. And that's totally wrong. There are plenty of healthy snacks available - we just need to choose wisely and moderate quantities. 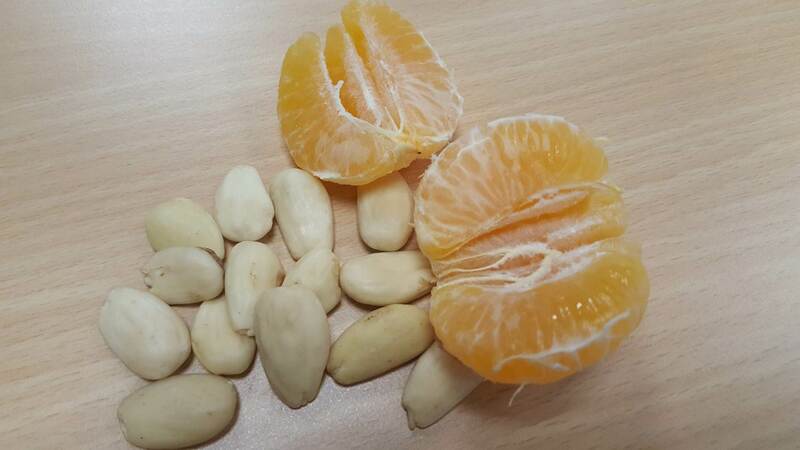 Today's healthy snack suggestion is one mandarin orange and a handful of almonds. This is perfect for a mid-morning snack, though it goes well at any time of the day, really. 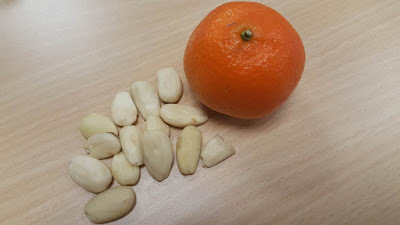 Personally, I'm partial to roasted almonds, but I didn't have time to roast them this morning so I just ate them raw. studies indicate they have cholesterol-lowering properties. replace then for any other citrus fruit of your choice. 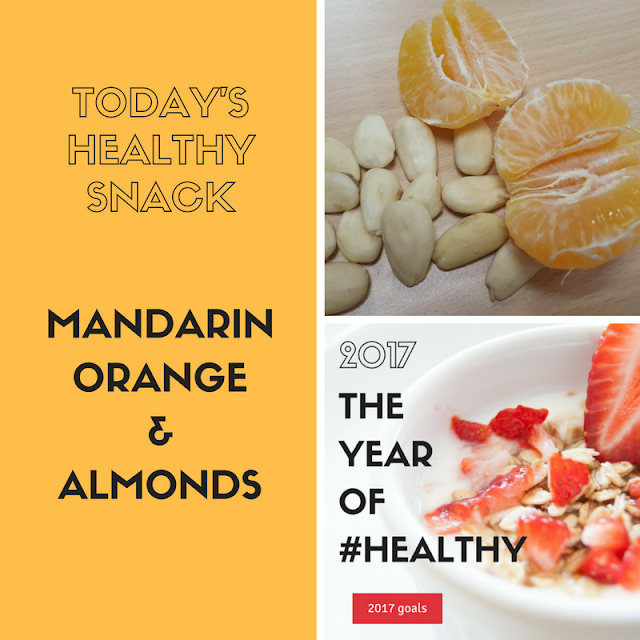 As I mentioned before, I plan to focus on everything healthy in 2017, so be sure to come back for more snack suggestions, tips and recipes. Sources of nutrition facts: SelfNutritionData (http://nutritiondata.self.com) and Google. MMM - I love both! Thanks for sharing at the What's for dinner link up! Thank you for hosting, and for stopping by!